FOUR MEPs, 260+ councillors, almost half a million votes, and becoming the largest political party in first preference vote terms in Ireland for the first time in almost 100 years. Even when it’s written down it’s still hard to take it in. Since we began planning for this election over two years ago, our objective was very clear: to take two European Parliament seats and to double our council representation in the 26 Counties while maintaining our lead role as a party of government in the Six Counties. It’s safe to say that we as a party achieved that and then some. 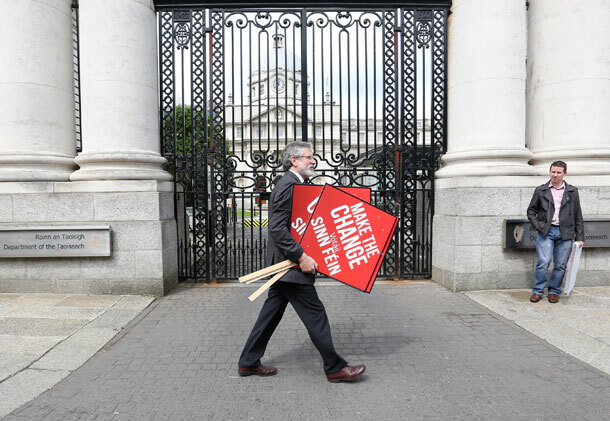 From the first boxes being opened it became clear that, right across Ireland, political records were going to tumble and a new electoral reality was dawning. Across the 26 Counties the old two-and-a-half party system was washed away, along with the Labour Party, while a resounding vote of confidence was given to the leadership of Sinn Féin and to the continuation of the Peace Process in the North. The begrudgers, the rejectionists and those who left their principles on the doorstep of Leinster House got their answer. Martina Anderson in the Six Counties, Lynn Boylan in Dublin, Liadh Ní Riadh in Ireland South and Matt Carthy in Midlands North West and their teams delivered votes on a scale that sent shock waves right to the heart of government. The Irish people showed us that, no matter what Pat Rabbitte may think, the things that you do and say at election time do matter. Forgetting that cost Eamon Gilmore the leadership of the Labour Party and his position as Tánaiste. Though much has been written (much of it by people cloistered in the ivory tower of a Dublin 4 media mindset) about this election they fail to truly appreciate the political earthquake that we are at the epicentre of. From Cork to Rathlin Island and from Inisowen to Wexford, Sinn Féin has political representation at either council, Leinster House, Assembly, Westminster or European level. There is now not one blade of grass on our island that we do not cover. The scope and scale of this breakthrough is unprecedented at any time since before partition, by any political movement. The election spectaculars have almost been too numerous to mention – becoming the largest party in Derry City Council for the first time; becoming the largest party in Dublin City Council; the largest party in Belfast; winning seats in every LEA in Fingal, South Dublin, Meath, Louth, Cavan, Westmeath, Kildare, Carlow, Wicklow, Wexford, Limerick, Cork county, Cork City, Tipperary, Waterford, Galway City, Offaly, Leitrim and Donegal. And many of them with young, energetic, capable and confident first-time candidates. While it’s always easier to focus on those who did take seats it’s appropriate to mention some of those who put their names forward and didn’t quite make it this time, such as J.J. Quigley in Louth, Dáire Hughes in South Armagh, Mark Gibbons in South Down, Leanne Peacock in Ballymoney, Sharon Bailey in Portlaoise, and Tierna Cunningham in Belfast, amongst others. Our commiserations are with you, comrades, and you will be back. 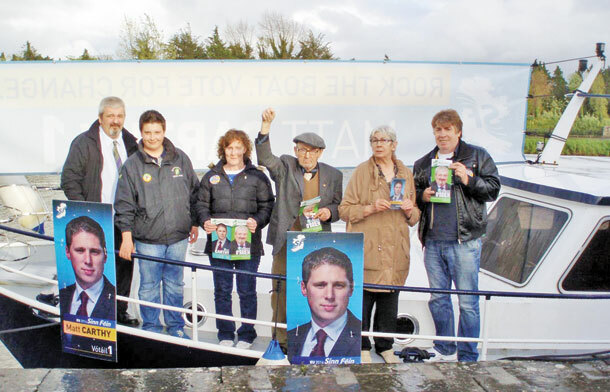 Further credit must go to those candidates who flew the Sinn Féin flag in hostile and uncomfortable territory. Nuala Toman, Mary Kate Quinn and Jacqui McGeough all put up strong performances in the unionist-dominated Lisburn & Castlereagh Council area. 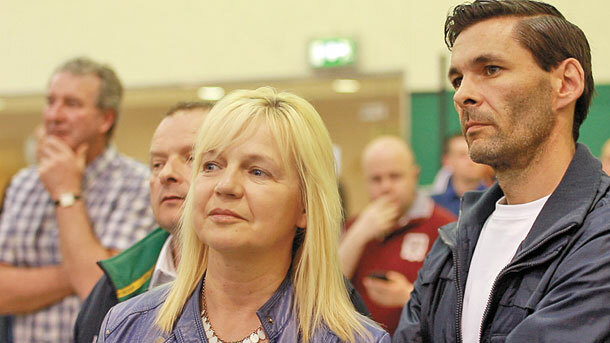 Standing as the first Sinn Féin candidate in the North Down & Ards Council area, Sheila Baillie pulled out a creditable vote while Dominic Mac Conraí in Rathgar/Rathmines LEA narrowly missed out in taking a first Sinn Féin seat in that area. Hidden beneath all of the numbers and statistics are some stand-out stories. In what must rank as the must stunning of Sinn Féin performances on the island, Lisa Marie Sheehy romped home on the first count in the Cappaghmore/Killmallock LEA in East Limerick. 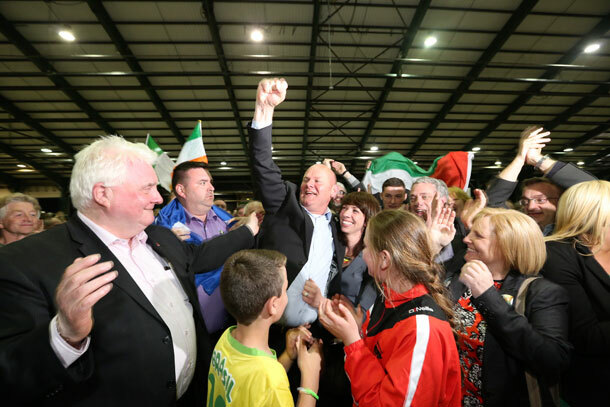 Also in Limerick, Malachy McCreesh brother of Hunger Striker Volunteer Raymond McCreesh came into the race late in the day and pulled off a stunning victory in Limerick City West to help secure a Sinn Féin seat in every LEA in the county for the first time, alongside Maurice Quinlivan, Ciara McMahon, Seamus Brown and Séighin Ó Ceallaigh. In Kildare, five new councillors were elected, one to each of the LEAs, in a county that Sinn Féin polled only 1% of the council vote in 2009. In Meath, Councillor Joe Reilly will be joined by a team of seven new councillors, while Sarah Holland will be the first republican to represent Rathfarnham in South Dublin since the 1930s. 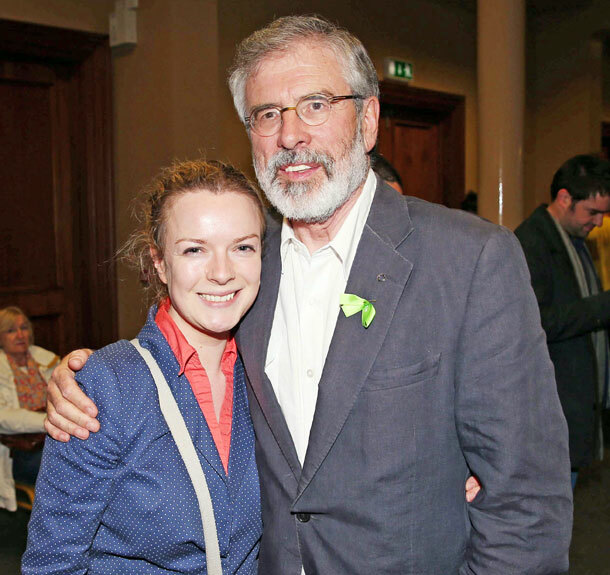 It’s been some election for Sinn Féin but this position has been hard-fought for and hard won. Our political opponents and enemies will not be resting. In this new electoral reality the next challenge is never far away. We must readjust rapidly. In less than 350 days the Westminster elections will take place. Who knows what will happen between now and then? The Irish people have placed their trust in us, we cannot let them down and we cannot let ourselves down. This is our time.